What does being bilingual mean to you? Did you know that more than half of the world’s population uses two or more languages every day? An increasing number of people are learning new languages—and for good reason. 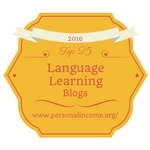 Being bilingual has many advantages from more job opportunities to higher salaries. What’s more, bilinguals tend to lead healthier lives and be more creative. While there are a number of perks to being bilingual, there are also some frustrations that come along with it. takelessons.com has asked a few language bloggers – including myself – to share their most hilarious frustrations in which every bilingual can relate. What came up to my mind straight away after reading the question was that as soon as people know that you speak more than one language, they start asking you how to say words as you were a dictionary. “When you meet someone who speaks the same languages and don’t know which one to speak to them in,” said Linas of ikindalikelanguages. “A problem only bilingual people can understand in my opinion is when a word for something in one language seems to click more than the words for the same thing in other languages and you end up speaking this weird hybrid language!” said Lindsay Dow of Lindsay Does Languages. “The weirdest thing that happens to me is forgetting the name of common things in my native language, but remembering in a foreign language. I remember once I wanted to say ‘hanger’ in Portuguese, but I couldn’t remember, but I knew in English; so I had to look in an online dictionary to remember a simple word in my own language,” said Nathalia of Polyglot Nerd. “Remembering the word for something in three languages, but not in the one you are speaking just then,” said Rita Rosenback of Multilingual Parenting. Being bilingual has it’s quirks, however, don’t let these common frustrations prevent you from learning a new language! I would love for you to share your thoughts on this topic. What does being bilingual mean to you? Get creative in the comment section below! 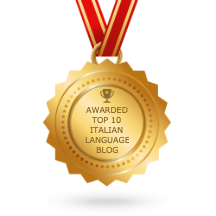 This article originally appeared on takelessons.com and it is by Brooke Neuman, German and Italian editor at TakeLessons, an online marketplace that connects thousands of teachers and students for local and live online language lessons. With permission of the author, I edited and adapted the article for my blog. This post is not sponsored. Articolo successivoWhen does school start in your country? And it’s the same thing when I’m with my german family. But whatever, languages are fascinating, and the more you know, the easier it get’s to learn new ones ! Hi Marcus! Thank you so much for sharing! It’s really funny to be a bilingual person, especially when you are trying to learn a new language. I’m brasilian and I speak portuguese as my mother tongue, english as my second language and now I’m trying to learn spanish, and sometimes when I try to say something in spanish I caught my self speaking or at least think in english, and it’s really funny, then I just have to take a time and a deep breath and try again. Sono Araba, infatti la mia madre lingua è araba. Conosco l’inglese molto bene è oggi posso dire che ho già una terza lingua cioè l’italiano. 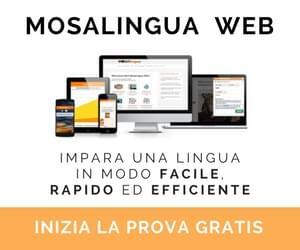 Non sono finita invece apprendo una quarta lingua che è il Russo. Le lingue hanno cambiato la mia vita e apre tante porte chiuse. Mi sembra di avere 3 anime. Devo dire che mi sento felice quando parlo con una persona nella sua lingua. La gioia negli suoi occhi quando sanno che io conosco la sua lingua è incantevole. Thank for this topic very much, now I feel better about this languages things. I faced these problems many times. Cause during my studying in academy we use both Ukrainian and Russian languages. From the begin of this year I’ve started to learn Italian and speak with my Italian friends in English. So at a moment I got crazy mix in my mind and few times during my summer Italian school in Rome I got a brain collapse- couldn’t say any word in any language. Whatever, I’m completely sure that we need make an effort and keep trying to develop ours own languages skills. Thank you for your job and inspiration!